The window to visit the beaches in Scandinavia is quickly closing. The sun, which barely set a few months ago, is going down earlier and earlier. The winds from the North Sea are getting stronger and stronger. While layers are starting to cover bikinis in the middle of the day. It’s time to stop putting off that day trip to Rømø. Rømø is the largest Danish island in the North Sea. 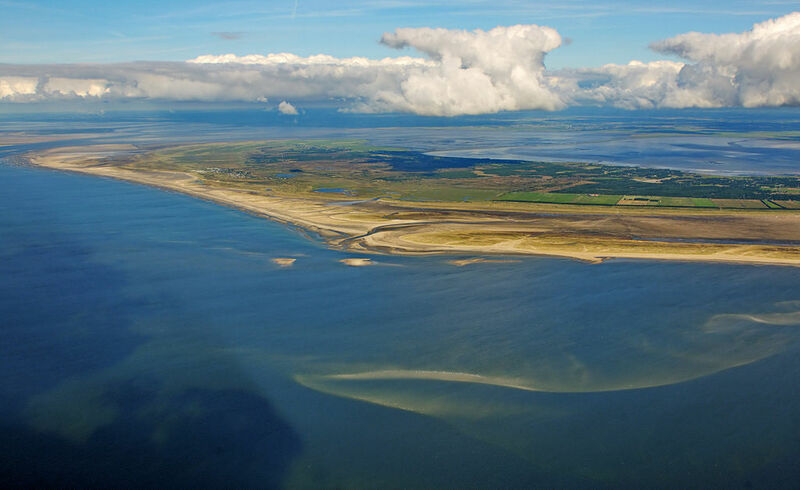 It’s also the southernmost of their Wadden Sea Islands. The German island Sylt, separated by the Lister Deep, is just three kilometers to the south. A car ferry connects the two islands and countries every two hours. It’s also connected to the Danish mainland by a causeway. Odense, the birthplace of their beloved author Hans Christian Andersen, is just 75 miles away. The island has been an important link between the west coast of Jutland, the peninsula on which most of Denmark sits, and the North Sea since the Bronze Age. Germany ruled Rømø a couple of times. The longest period was from 1864-1920 after the Second Schleswig War. German bunkers, leftover from World War II, still dot the island, as well. But Rømø definitely feels Danish—unless you count the German tourists who flock to Lakolk Beach. Lakolk Beach is one of the longest and widest sandy beaches in Europe. Yes, all of Europe. Families come for the shallow pools leftover by the outgoing sea. Nudists appreciate the anything-goes philosophy. Surfers love the big swells caused by those North Sea winds. They attract kite enthusiasts, especially during the biggest kite festival in Europe, as well. Cars and horses are even allowed on the beach. There’s a little something for everyone on the west coast of Rømø. The rest of the island, except for the restricted military zone on the northwestern tip, is worth exploring, too. St. Clement’s Church, first established around 1200, is dedicated to the patron saint of sailors. Model ships, hat hooks, and nameplates on the benches from the 19th century still decorate the interior. A 1770s house has been turned into Kommandørgard. A kommandør was the captain of a whaler. The museum, focused on the whaling industry, even displays a whale skeleton. A nearby fence, constructed in 1722 when wood was scarce, is also made of whale bones. Plus brown shrimp and Pacific oysters, despite their name, thrive in the chilly surrounding waters. Oyster season, when you can forage for your own bivalves, starts in just a few weeks. It seems like you’ve, unsurprisingly, fallen in love with Rømø pretty quickly. Luckily, since the peak season is over, there are some empty, last-minute rooms available. Most people rent summer cottages on the island. 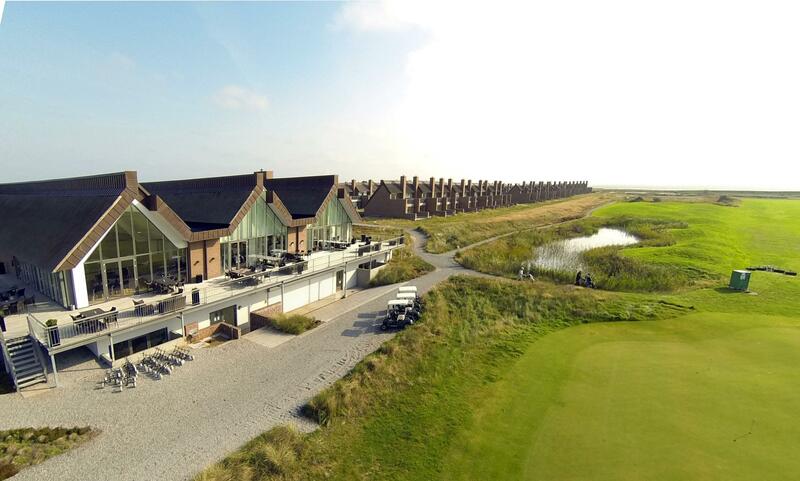 Enjoy Resorts Rømø is one of the few hotels. With more than 200 villas, the resort would normally be too big for your beach vacation. It’s easy to forget your neighbors once you see your two-story space with an open kitchen, a fireplace in the living room, and the view from the terrace. Plus the ferry to Sylt, in case you want a taste of Germany, is right at the edge of the water. Now all you need now is a dozen oysters and a bottle of white wine to end your summer travels to Scandinavia on a high note.